Having a definite quality management team, we are engrossed in providing Organic Chemical. While mounting on the achievement ladder, it has become progressively important for us to deliver specifically prepared Organic Chemical. We are also betrothed in providing Methylthio Benzyl Cyanide. Making use of fine materials together with hi-tech processes; these are develop under expert guidance. Additionally, our patrons can get these from us at genuine costs. Acetic Acid, Acetone, Benzaldehyde, C.T.C., Chloroform, Ethanol, Methanol, I.P.A., Paraffin Liquid, Xylene, etc. Appearance: Colourless clear liquid with sharp pungent odour.Assay (BY GC): 98.5% minSpecific gravity: (27 Deg C) 1.365Freezing point: Between –5 to -7 Deg C.
We are one stop destination for all kinds of Organic chemicals. Organic Chemicals are found abundantly in nature but those Fine Organic Chemicals which can be used for scientific and industrial purpose are mostly synthesized in the laboratory. 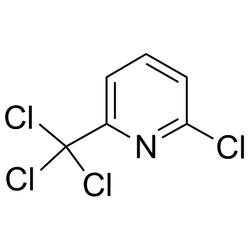 We deal in these kinds of Industrial Organic Chemicals for the industries. - We offer Fuel Additive. A formulatin of active organic catalysts, ash modifiers, surfactants and other ingredients which can be used for a wide variety of fuels. Improves combustion efficiency, reduces ash deposits, controls soot formation and smoke emissions, mimimizes micro-carbon residue, dissolves sludge and maintains the fuel as a homogenous mixture . BIOZAX consists of an exclusive and well-balanced blend of natural organic ingredients necessary for the crops. It is a unique combination of high-powered nutrients, vitamins, energizers and other biochemicals. It improves overall crop health for sustainable growth. Various ingredients of BIOZAX provide a full support system for plant nutrition.